Arcam Solo Neo review | What Hi-Fi? 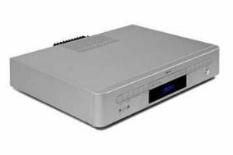 The original Solo was introduced back in 2004 and was a great success for Arcam. It created a whole new market for the brand and for many years remained the all-in-one music system to beat. This upgraded Neo version doesn't mess too much with the original's recipe. The outward appearance hasn't changed; instead, the new model expands the feature count while taking performance up a notch too. The biggest change on the features front is a newly gained ability to play music files from a USB stick or streamed over a computer network, wired or wireless. The unit will play WAV, MP3, AAC, WMA and FLAC files, so should be compatible with most people's music collections. It'll handle files streamed up to 48kHz/24bit. Internet radio and DAB+ compatibility is added alongside FM and DAB. Compact disc fans need not worry, a CD drive is still included. The Solo Neo has a great tuner section. With DAB (no DAB+ transmissions in the UK at the moment) it sounds smooth and listenable, totally avoiding the thin, bright and hard quality we hear from most DAB products. Listen to FM and the good news continues with full-bodied smoothness and expressive dynamics, though you'll need a decent signal for hiss-free results. We can't recommend a good-quality external aerial too highly if FM performance is a priority. Only Internet radio gives rise to some concern, but here the innate poor quality of the broadcasts are to blame rather than the Arcam. Switch to CD and the performance is impressive. It's clear and detailed producing good results with everything from Lady Gaga's Poker Face to a 1959 mono recording of Tchaikovsky's Symphony No.4. The Neo sounds more neutral than the original Solo, and delivers greater agility, punch and dynamic expression than before. The original may have sounded cosier, but the new version is more capable. It's a fine cut-price alternative to Naim's mighty Uniti.